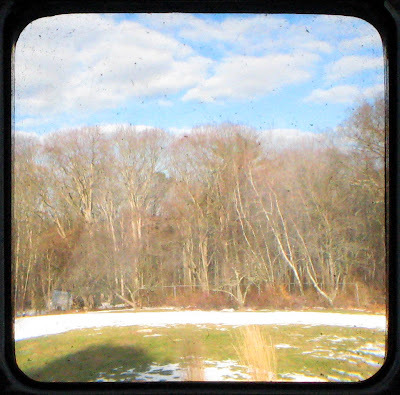 While home with my family over the holidays, I spent some time playing around with "TTV" - a technique known as Through the Viewfinder, where you shoot through the viewfinder of a 1950s era camera with another camera, using the older camera solely as a lens. 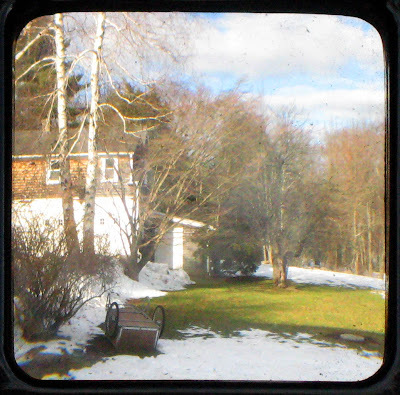 In trying this out, I was inspired by the flickr group Through the Viewfinder. 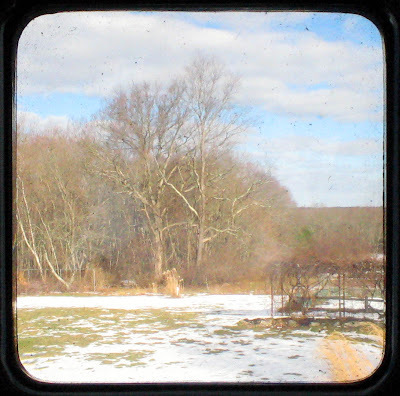 This technique produces a slightly distorted effect, softens the colors, and allows you to capture the crackles and scratches on the older lens. Though not without its difficulties - I found myself wishing I had a third hand to help juggle two cameras while also keeping my image framed, in focus, and out of the sun's glare - I like the new way it lets me see the world. I love the effect. Very creative. The colors are amazing. 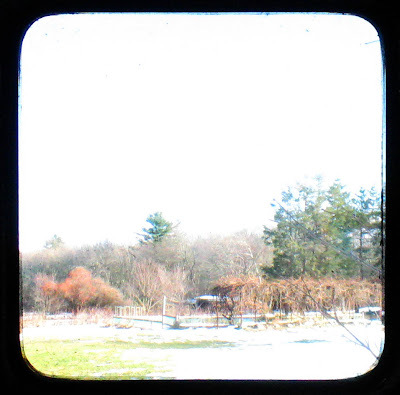 They remind me a little of photographs by Sergei Prokudin-Gorskii who experimented with color at the turn of the century (the results are collected in a book called Photographs for the Tsar).